Meet Sara, the muse behind Océan Bohème. Océan Bohème is designed for free spirited women who have a passion for the ocean, the environment and and a love for unique boho jewels… Perfect for SwellWomen, am I right? 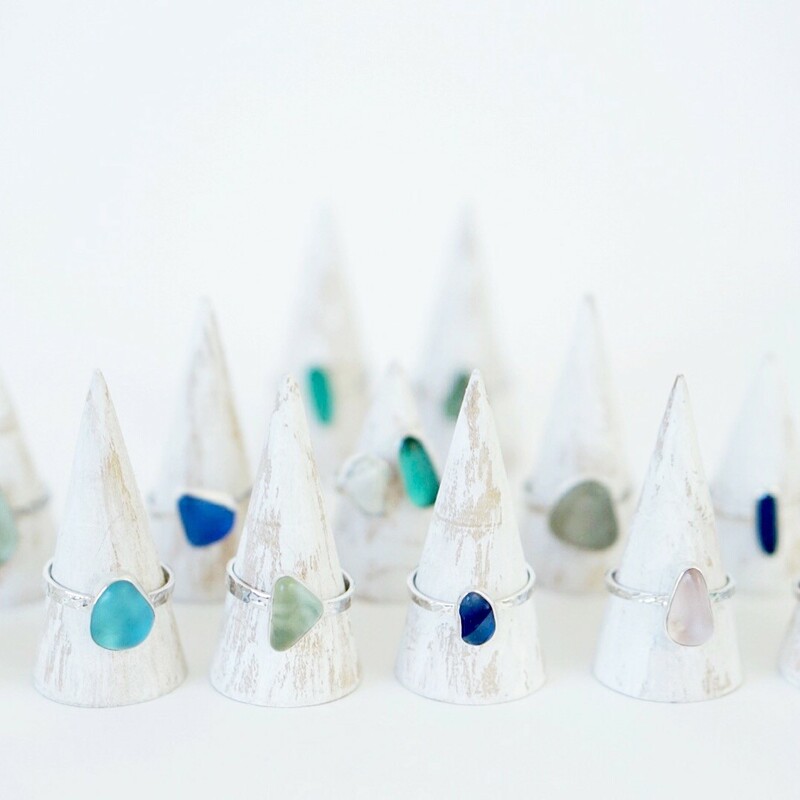 The pieces Sara designs make use recycled shells, sea glass and gemstones. As if it couldn’t get any better, 5 % of her profits go towards ocean conservation and the fight against plastic pollution in our seas. 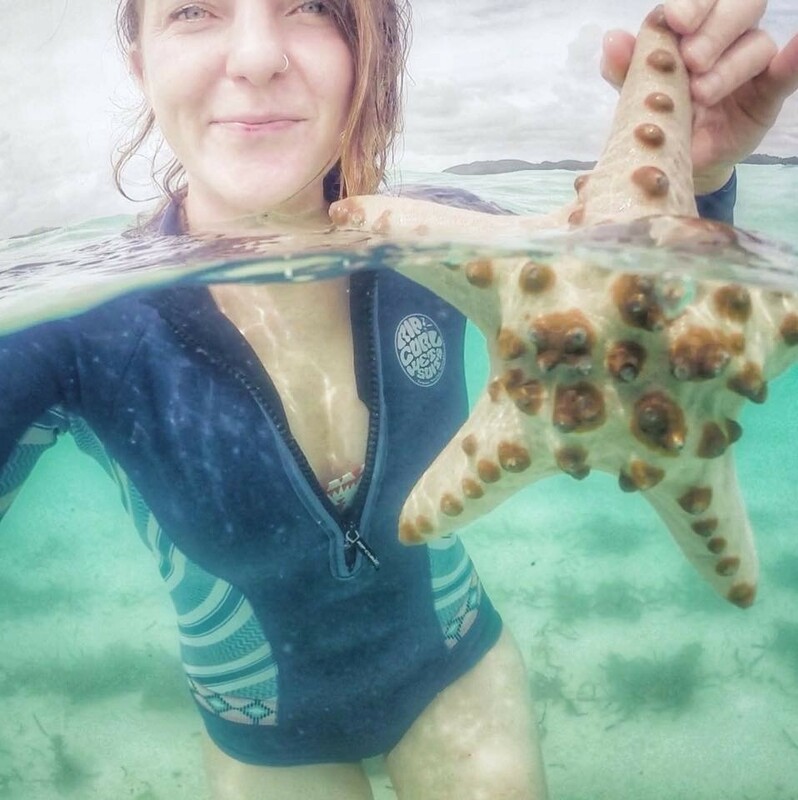 Get to know Sara and her passion for ocean-inspired jewels in her SwellWomen Business Spotlight below, visit her at her home on the web, or follow her on Instagram and Facebook. What’s the story behind you and your business? I have always been in love with the ocean, growing up on an island and having parents who like sailing (even though I was and still am prone to being seasick!) has influenced my connection with water. As a child I used to make my own jewelry and had a big shell collection, then when I left university I made lots of simple shell necklaces with a friend and we went hitchhiking and surfing around the South West of France and Northern Spain selling them on surfing beaches. For the next few years I stopped making jewelry but developed my love for action sports and travel. I and went traveling around the world for 10 months and my return I didn’t want to start working in England so I focussed my time on working seasons: summers teaching windsurfing and winters snowboarding and working in French chalets and bars. 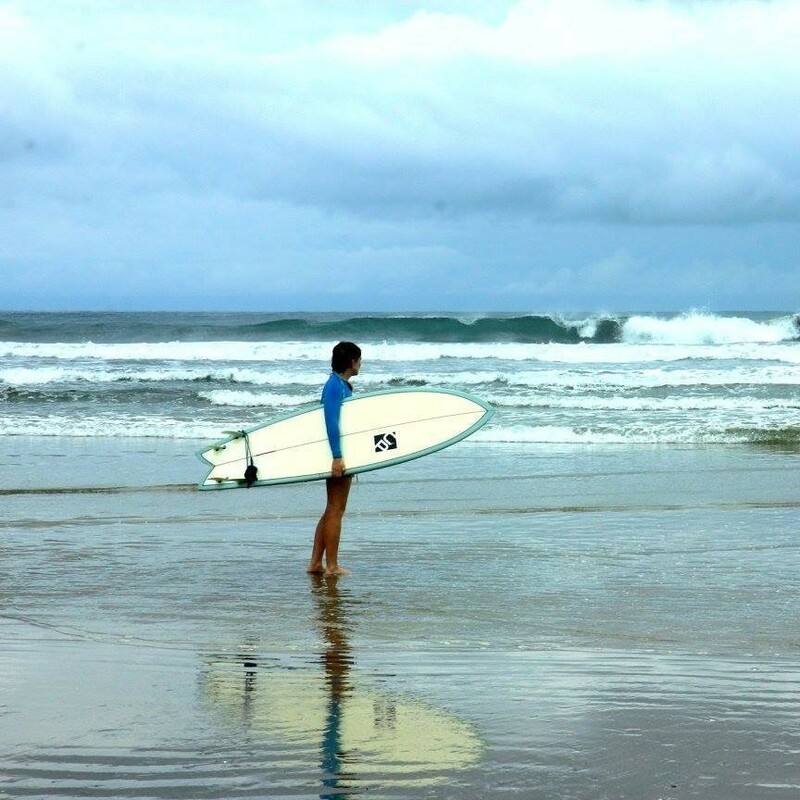 I then decided to go traveling again for almost two years including a year working in Australia, working on a pearl boat in the Indian ocean, promoting surf camps and working on a dive boat in the Whitsunday Islands. When I returned to the UK I put to use my travel knowledge and started working for a specialist round the world travel company which has allowed me to continue to travel the world – especially Asia which I love! However itchy feet, a love of jewellery, a want to be my own boss and a very fixed idea of the jewellery I want to wear has spurred me on to slowly develop Océan Bohème. Before Océan Bohème was born Initially I couldn’t decide where to focus my efforts so I decided to train as a SUP instructor and thought this might open some doors to me and it did! I met a girl working at the watersports centre who taught me how to make a sea glass ring and then I was off and loving every minute of it so far! Seeing other women following their passions definitely keeps me inspired. Also having had a few stalls at small watersports festivals, has meant I can hear reactions to my designs first hand which has really motivated me to keep growing OcéanBohème slowly but surely! What gives me bliss right now is running along the beach in the morning and following it by a swim in the sea before I start work. The window to do this without a wetsuit in the UK is quite small so I am making the most of this right now! Travelling and just being in the water in general also gives me bliss. Both manage to give me a better perspective on life and the world and I find I disconnect as soon as I am in these environments. I hope to give completely unique piece of jewellery that is beautiful, connects the wearer to the ocean and is long lasting. The pieces I design are not meant to follow fashions or be worn for a season and then forgotten, I hope for them to be timeless and worn for years. At 29 I went away to Indonesia with a friend when I had just come out of a long term relationship and I didn’t know what I was doing with my life. I went on a surf camp and on my 30th birthday went for a sunrise and a sunset surf. The sunset in the evening was one of the best I have ever seen and it made me look forward to my 30’s with all the possibilities out there!